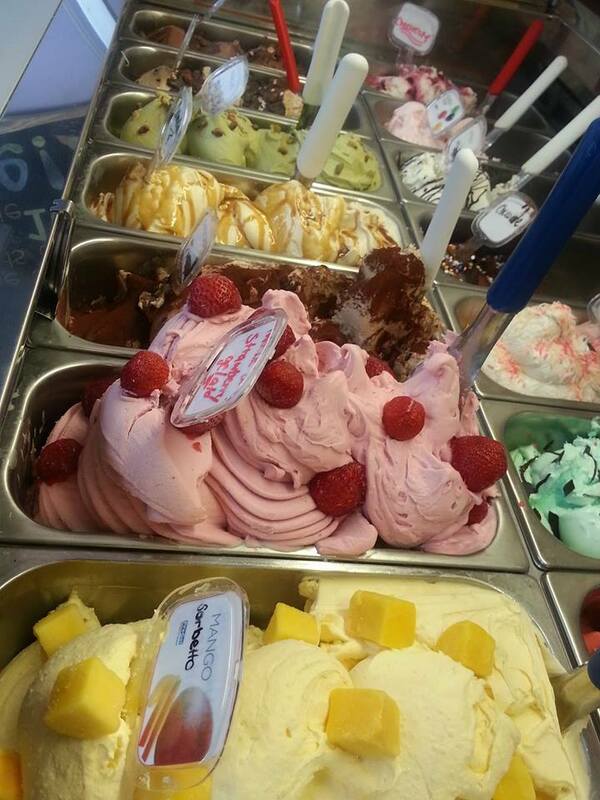 This is a common question we receive at the Perfect Scoop – what is gelato. Maybe the real question is… if it looks this good, do you care? But what exactly is this Italian answer to ice cream? Where did it come from? And what makes it so different and delicious? First, frozen treats aren’t new. Even in the times of ancient Rome, Italians ate confections made of ice or snow. Anything closer to what we know as modern gelato, though, seems to have been developed during the Renaissance. By the late 17th century, gelato seems to have taken off. A recipe book was even printed in Naples with a variety of delicious sorbet ideas, from gelato thickened with candied pumpkin to gelato flavored with lemon blossom water. By the 19th century, we all screamed for ice cream — and in Italy, gelato (meaning “something frozen”) became the accepted word for the frozen treat. So if gelato just means “frozen,” what is gelato today… and why does it taste so different from ice cream? First, traditional gelato has way less butterfat. About 4 to 8 percent of gelato is butterfat, compared to 10-14 percent for ice cream in North America. That means gelato freezes less solidly than ice cream and it’s actually served about 10 to 12 degrees warmer than ice cream, so it melts in your mouth faster. Second, gelato has a much higher density. To make ice cream, producers mix cream, milk, sugar — and then add air, which increases volume. This increases the volume of ice cream by 85 to 100%. But all that air makes for a much less-flavorful sweet. In Europe, meanwhile, regulations limit that kind of process, called “overrun.” Gelato also has air introduced to the mix during the freeze-churn process, but because the churning rate is much slower than processed ice-cream, only about 30-35% air is incorporated in the final product. This make gelato much heavier than an equal size of American-style ice-cream. Think of it, up to 1/2 of every bite of ice-cream is air! Finally, most commercial ice creams elsewhere are made for long-term storage. That’s why they’re more fully frozen and have a higher fat content. Gelato, though, is frozen quickly in small 5 liter batches. That means it’s much fresher and higher-quality — and that truly artisanal gelato has to be eaten within a couple of days of being made. 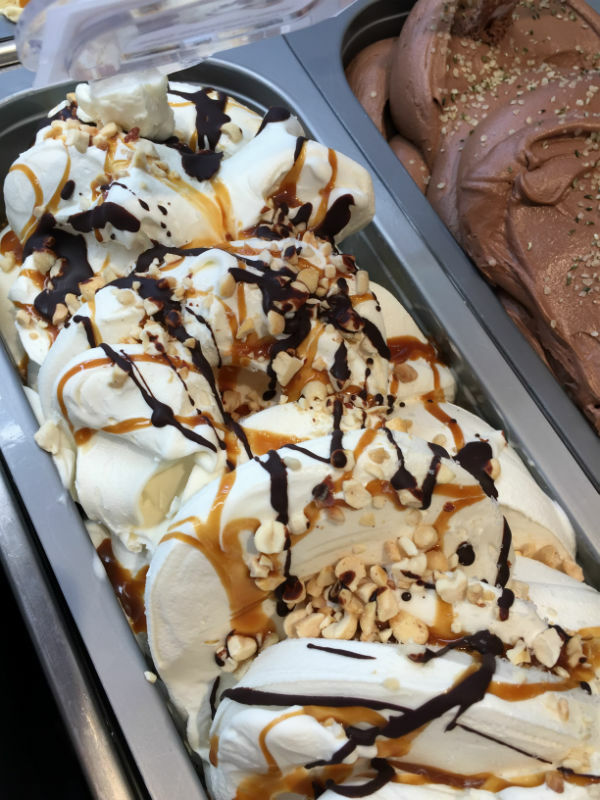 For the scoop on gelato facts and the ingredients for a perfect gelato take a look at our Gelato facts page. To taste truly authentic gelato, take a visit to our Port Perry Gelateria and enjoy your perfect scoop of gelato.